Today, July 15, marks the end of a 60-day period for public comment on a proposed coastal zone management plan for Belize—a plan which some fishermen, particularly those in the Stann Creek area—contend would put them at a disadvantage, and could possibly strip them of prized access to parts of coastal Belize. The Dangriga group—which includes Police Superintendent Robert Mariano as president of the National Garifuna Council of Belize; Rosella Zabaneh of BTIA Dangriga; Captain Norlan Lamb; and Mark Thompson, pilot/station manager of Maya Air—has put its concerns in writing, and it is hoping that the authorities take their concerns onboard before the plan comes into full effect. 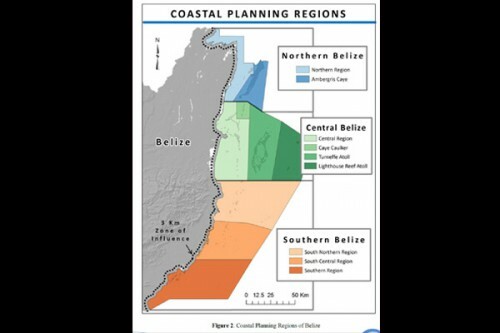 More than a year ago, in January 2012, Amandala reported on the planned consultations for the Integrated Coastal Zone Management Plan for Belize. The CZMAI, resurrecting from its dormancy of 2004 – 2008, has said that it was embarking on the consultations to get community input before the plan is handed over to Central Government for final vetting. Colin Gillett, director of the CZMAI’s Institute, acknowledged, when we spoke with him last week, that the plan is saying that more areas should be conserved; and while that might affect fishermen, there are specific issues that the Stann Creek fishing community has raised that are for the Fisheries Advisory Council, he told us. Gillett said that although there are recommended zoning areas for fishers, it is still up to the Fisheries Department to put those in place. He also told us that the CZMAI had consultations all over the country, and they have been talking with stakeholders for more than three years. He said that the next step, after today, is for their planning team to sit down and look at all the concerns and recommendations received, and then everything will be put to the CZMAI’s advisory council, which includes representatives from entities such as the Department of the Environment, the Fisheries Department and the Belize Fishermen Cooperative Association. Gillett added that the next level to which they would have to submit the plan is the CZMAI’s board. Only if and when the board vets the plan will it find its way to Cabinet with a recommendation for action, he explained. He noted that there are already restrictions in place for areas such as the South Water Caye Marine Reserve – which, he said, is probably the largest marine protected area in country. The director said that the coastal development plan takes the livelihoods of everyone into account, and therefore it considers fisheries, marine transport, and natural protection, such as the conservation of mangrove islands. “We do recognize in the plan that petroleum exploration is an issue right now, but [we] don’t go in any detail about it,” he said, highlighting the need for a national policy to provide guidance on that front. Gillett had also said that once the plan is accepted by the Government, the CZMAI will establish a portal online where public users can click on links of interest to find out what can be done and what permits will be needed for certain types of development or activities in the said zones.